Funky fresh Sunglow statement piece by The ReStore Fermoy_! This beauty would be a bright addition to any space. :) "This funky table was completed for a customer and delivered this week. 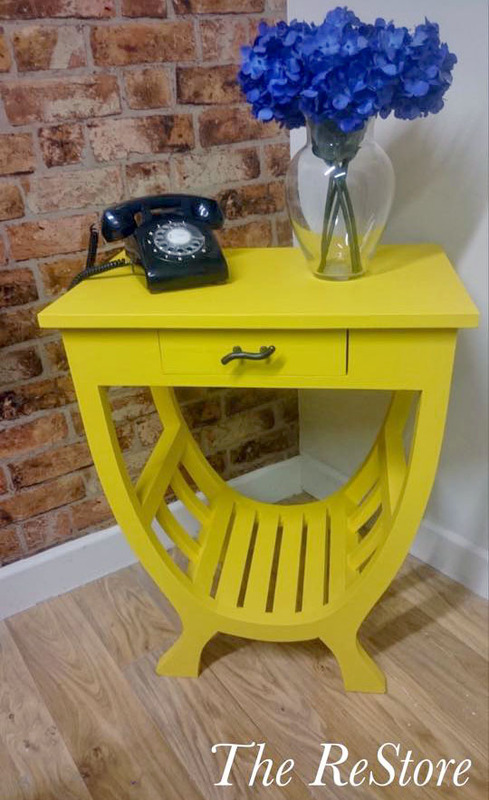 Originally a very dark wood colour,it was painted with General Finishes Sunglow Yellow, isn't it fab? What a great way to add a pop of colour to any room. Call 086-825-1551 for enquiries and next day delivery on all our paints, stains and varnishes."